GuideWell Chairman and CEO Pat Geraghty returned from his first visit to the annual conference of the World Economic Forum (WEF), aka “Davos” this January with a clear objective: “go bolder” in transforming the health industry. Earlier this month, we debriefed Pat on his Davos experience in our GuideWell Insights interview (find it on iTunes too). A pandemic cannot only result in tragic loss of life, in the words of the head of the World Bank, it can also bankrupt the world. For that reason, prevention of pandemic is a primary focus of the WEF. The WEF’s Board of Health Governors, of which Pat is now a member, will help determine whether nutrition, sanitation, vaccinations or other population health matters will be the second focal point for this committee this year. The Board of Health Governors will help drive key health policy issues facing the world. Given Great Britain’s experience, the single-payer system is not the panacea some claim it could be. The world’s oldest national health system currently runs at 42% of Britain’s GDP. It is also prone to shifting priorities as new political leaders are voted into office – making long-term gains harder to obtain. Developing nations are scrutinizing the health systems of the developed world in hopes of “leap-frogging” their mistakes, such as over-reliance on reactive care. As CEO, Pat is also seeking ways GuideWell can leapfrog industry inefficiencies through novel applications of high- and low-tech solutions. 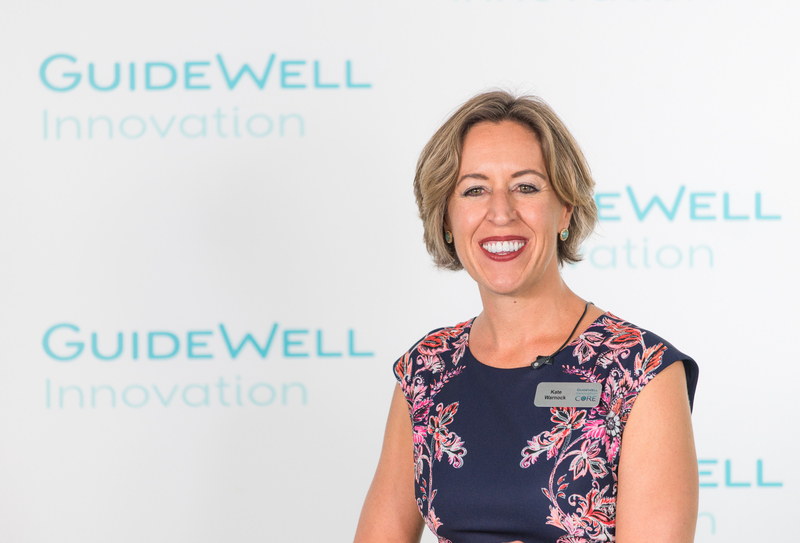 Having shared insights with some of the world’s most influential health players, Pat is keen to support the work of the WEF’s Board of Health Governors, as well as enhance GuideWell’s strategy with this global perspective. We’ll be sure to share updates as we track how Pat does indeed “go bolder” in reimagining the future of health.